Here is the latest graphic I have designed for my line of beach apparel called Chesapeake Island Outfitters. This will be available soon via the Chesapeake Island Outfitters website and via our ETSY shop. Most likely it will be a front print and we plan to offer it on several color choices. 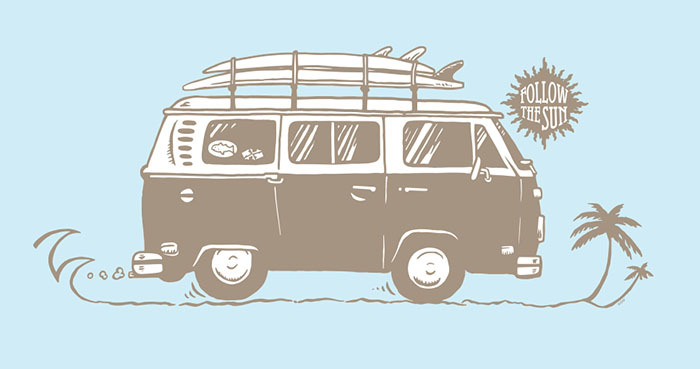 The graphic is called Follow the Sun & it features a classic VW bus stacked with surfboards going on a road trip. Looks like fun!